While ice cube trays are the most common implements for making ice at home, they are not the only option. You may find that your freezer is too small to accommodate an ice tray and even if you have a large freezer, your tray may go missing just when you need it most. It’s a great idea to have some alternative options in mind when you cannot or don’t want to use an ice cube tray. Below, we have some tips (or life hacks) on how to make ice cubes without using a tray. This list consists of a mixture of short term solutions (before you find your lost tray or buy a new one), emergency solutions and long term alternatives to completely replace your tray. If we have left out any ‘tray-less’ ice making method, feel free to mention it in the comments. A simple and quick solution when you don’t have an ice tray is using Ziploc bags. They are very common, and you most likely have some at home. 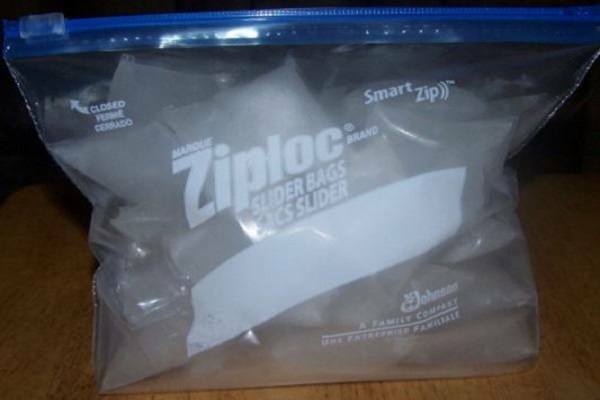 To use a Ziploc bag, you just need to fill it with water and leave it to freeze for several hours. The amount of water you put in will determine how much ice you get. If you fill the bag to the brim, you’ll get a large ice rock that you may need to crush into smaller bits. One trick is to fill it up quarter way, zip it up tightly and then lay it flat in the freezer. This will create a medium-thick layer of ice that you can easily break into smaller pieces. The downside with Ziploc bags is that you will not get perfectly shaped ice. But if aesthetics are not an issue for you, go for it. If you want actual ice cubes, there are some ice cube bags sold on Amazon. You fill them up with water, close them tightly, and you’ll get several dozen ice cubes perfect for picnics, parties, and your everyday cocktails. Silicon molds are used to make a wide variety of things including candy, baked cakes and bread and even soap. Thanks to their versatility, you can also use them to make ice cubes. As you would do with a normal ice cube tray, fill the molds with water and leave them for several hours in the freezer. 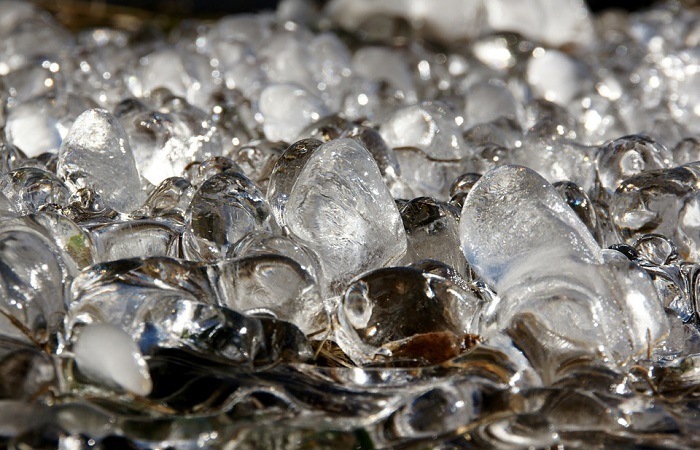 Leaving them overnight results in harder, well-frozen ice that doesn’t melt as fast. Because these molds come in a wide array of shapes, you can create ice in all sorts of fun and unique shapes from large crystal balls to heart-shaped ice for the kids. This is a bit of an unusual solution but if it works, why not? To be clear, this is just an emergency alternative, and you should not turn it into an everyday thing. 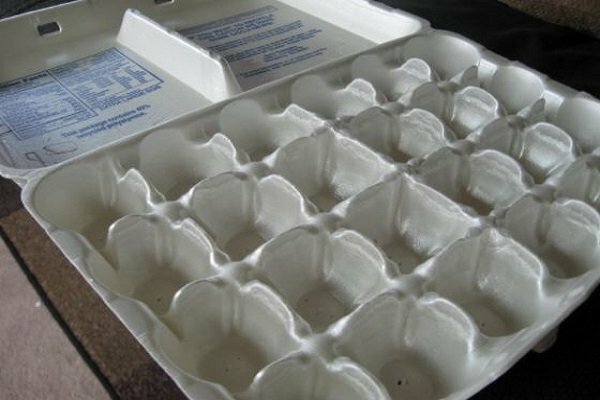 If you have guests coming over and you have no ice tray and no silicon molds, an egg carton will come in handy. You will need some aluminum foil. Take the aluminum foil and spread it on the bottom half of the carton, the half where the eggs rest. The foil should smoothly fit into the rounded egg dimples. With the foil protecting the carton, you can now add water to each of the compartments and then place the carton in the freezer. Leave it for several hours to harden into ice. You may have to crush the ice into smaller pieces. From here we get into long term ice making solutions that you should consider. With either of these alternatives, you never have to bother with ice cube trays again. Let’s start with a built-in freezer ice maker. Some large fridge models come with an extra-roomy freezer that is fitted with an ice making kit. It then dispenses ice whenever you need some. The upside with this option is that you can get ice any time you need it. There is not necessary to wait for hours for water to freeze into ice cubes. Additionally, after setup, you don’t have to do anything to get ice. The ice maker works automatically. The downside is that such a fridge will be pricey. Another major downside is space. The ice making kit will take up a lot of space inside the freezer. The fridge itself may also be quite big, hence requiring more real estate in your kitchen. If you don’t need to spend a lot of money on an alternative solution to an ice tray, I highly recommend a portable ice maker. Portable or countertop ice makers are compact, lightweight and take up very little space in your kitchen. You can even carry one to the picnic, in your RV or on a boat as long as there is a power source. Depending on your needs you will find ice makers with different ice production capacities. 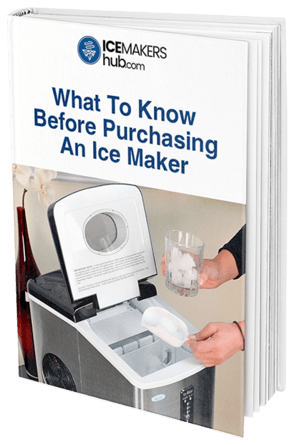 If you just need your ice, get an ultra-portable ice maker that produces around 20-26lbs of ice every day. If you want an ice maker for your whole family or home parties, get one with a minimum of 26lbs production capacity. There are other larger portable ice makers (28lbs-40lbs) that are ideal for bars, large events, and offices. See our complete guide to the best portable units. If you have a bit more money, you can go for a much bigger dedicated ice maker. There are two varieties: freestanding and under-counter. A freestanding ice maker looks very much like a fridge. An under-counter ice maker is a bit more compact and is fitted underneath the cabinet. Both have much higher production capacities than portable ice makers with some producing as much as 85lbs of ice per day. I recommend a freestanding or under-counter ice maker if you have a huge family or you frequently hold large events at home. If you love nugget ice, you may also have to go for a full unit since there aren’t any good portable nugget ice makers. Do you have your tip on how to make ice cubes without a tray? Add it in the comments.